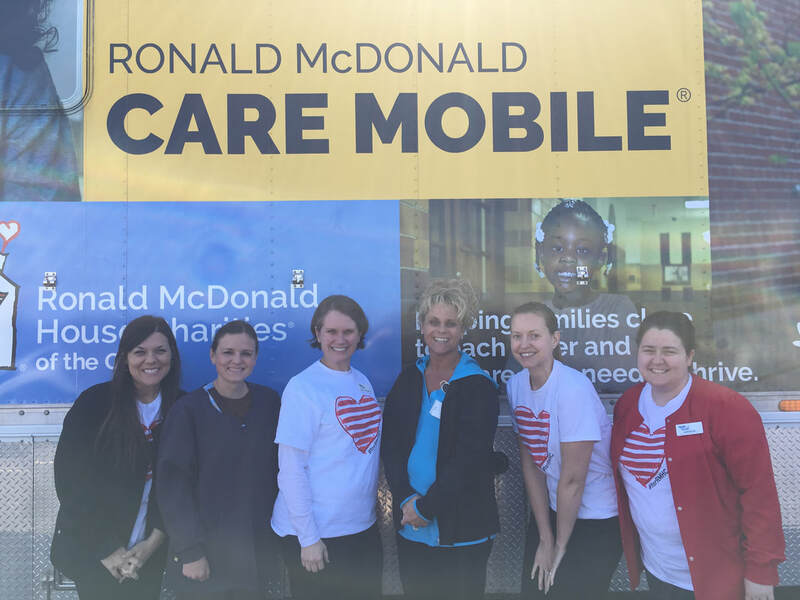 The Ronald McDonald Care Mobile, fondly known as the Tooth Truck, made a stop at Cassville R-IV. Over the past several weeks, Tooth Truck staff has seen 75 students and treated 339 cavities for Cassville students in preschool through 12th grade. The Tooth Truck is a mobile dental office and has the ability to provide a full range of dental services, including x-rays, cleanings and sealants, root canals, fillings and more. Any treatment that does not require complete sedation may be performed on the Tooth Truck. The truck will be on campus through mid-April. Any student that is Medicaid-eligible and uninsured who does not have a dentist may be able to take advantage of this service at no cost to the patient’s family. Contact the Cassville R-IV Nurses office for more information about this service. Pictured above, from left to right: dental assistant Megan Burk, program director Mindy Munoz, general dentist Dr. Sarah Cimino, Cassville Schools nurse Bobbi Blankenship, office manager Emma Davis and dental assistant Abbie Dohmen.